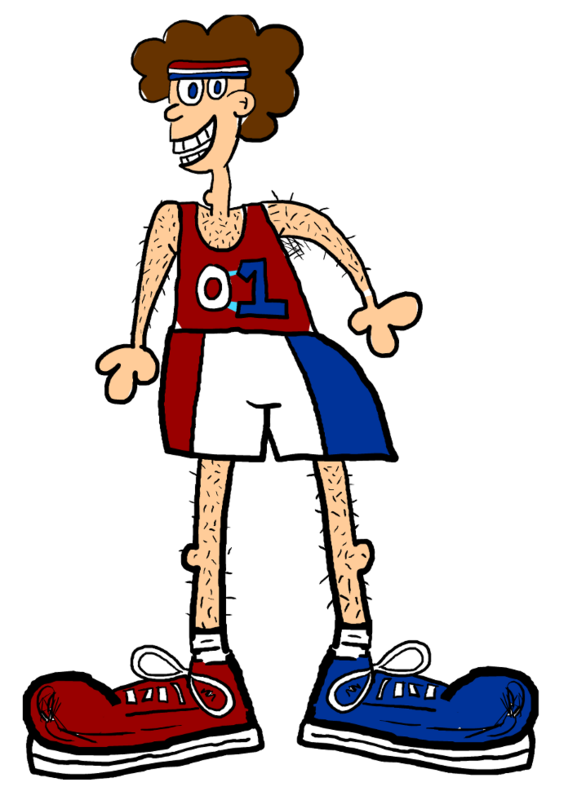 Hardwood Heroes | I Don't Stink! Picture this. You are sitting on the bench during the NBA Finals. Your team is down 25 points with 5 minutes left in game 7. The coach, deciding to give up, calls your name. He wants to clear the bench so everyone gets a chance to play. As a 46 year old rookie, this could be your final game. You step on the court and drain a 3 pointer from the corner. Next time down the court, you drain another one. You have now made 7 in a row, and your team is charging back. The coach is in complete shock but doesn’t change up the line up because it is working. You now have made 10 of 13 three pointers for 30 points, and your team is within 3 points with 8 seconds left. The ball comes to you, and you drill it from deep in the corner as time runs out. Tied score! In overtime, you drill your first 2 – 3 pointers, and the game is back and forth. Now there are 3 seconds left, your team has the ball, and you are down 2 points. You get open in the corner again. The ball comes to you, and the buzzer goes off just as the ball slips off your fingertips. The entire area is in complete silence. Everything seems to be in slow motion. The whole world is watching and holding their breath. The ball approaches the rim and SWOOSH! Nothing but net! You throw your arms in the air, make a fist, and scream YES! You just won the NBA championship, scored 39 points, and were awarded the MVP. SA-WEET! Well, this was just how my day started. I worked out at the gym, and after I was done stretching, I shot some hoops for at least an hour. This was just one of the games I won this morning. In doing so, it reminded me of the times when I would shoot basketball nearly every night as a kid and play imaginary games in my head. I would practice for hours and hours. After my game-winning shot, I felt great. I had lots of energy and was able to get a lot accomplished today. Sometimes having fun is just the ticket to improve your emotional state. Through visualization, I was transported to a victorious state where anything was possible. It’s kind of like life, you know. First you think it. Then you say it. First you think it. Then you do it. First you think it. Then you achieve it.